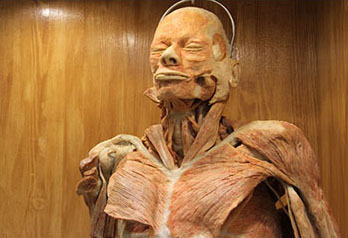 The Anatomy Museum was established on the premises of the Human and Animal Physiology Department of the Faculty of Biology and Soil Sciences and at the moment is the only platform in the Central Black Earth Region to offer opportunities for training specialists in morphological and clinical subjects based on modern environmentally-friendly and convenient methodology. The museum collection has a total of over 200 preparations in general anatomy and anatomical pathology, as well as operative surgery. They are natural anatomical demonstration aids made using the Russian method of polymeric embalming. This method provides a new level of educational and scientific services, ensuring a convenient, safe (without the smell of formaldehyde) and informative way of studying the morphology of the human body, its organs and systems. Visiting Hours: Monday to Friday, 13.00 to 17.00. Group visits: 10.00 to 17.00. 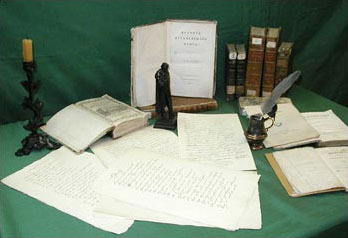 The museum houses a collection of books and manuscripts dating from the 16th to the 20th century, including some examples of suppressed literature from the 19th – 20th centuries. Amongst the many treasures on display are one of the first translations of the original Bible into Latin, published in 1548; the first edition of “Slovo o polku Igoreve” (A Word on Igor’s Campaign), the most famous epic of mediaeval Slavic literature; a collection of 304 famous Russians’ signatures; and Pushkin’s death mask. The museum gives visitors a complete insight into the university’s life – its origins, its development over the years, its history and traditions. The museum boasts an extensive collection of well-known professors’ and alumni’s personal archives, their personal belongings, medals, and patents, as well as a great deal of original documentary and photographic record. In addition to providing for the needs of academic and educational groups, the museum offers engaging programmes of guest exhibitions, lectures and talks. Visiting Hours: Monday to Friday, 10.00 to 17.00. The VSU ethnographic museum is one of the recently founded university museums. 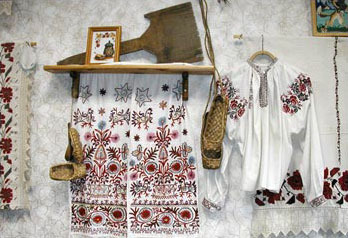 It houses a large collection of household items, clothes, and jewellery produced by the people of the Voronezh Region. 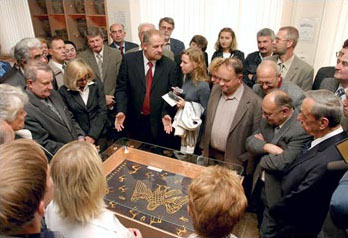 All the items in the Museum were collected by VSU students during practical visits to various villages of the Region. The Archaeological Museum is one of the oldest of the University's museums. It houses a large collection of antiques, most of which were found at various excavation sites. These items include household items and jewellery produced by the people of oriental countries and Ancient Greece. Visiting Hours: Monday to Friday, 11.00 to 15.00. 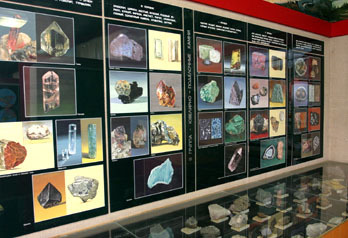 The Museum houses a fascinating collection of specimens of fossils, rocks, minerals and gemstones from all over Russia and abroad, as well as early geological maps, equipment, and photographic material. A visit to the museum provides an insight into how the Earth formed and changed through time, and how life on earth developed and evolved. The history of the museum dates back to those times, when the Department of Soil Studies at VSU did not even exist. Among its first exhibits were the soil monoliths and soil samples, aquired and classified by professor P.G. Aderikhin – a prominent scholar, founder of the Voronezh school of soil studies, Head of the Department of Soil Studies (founded by him in 1936) at VSU for almost half a century. The museum's exhibitions tell a lot about the origins of soils, the specifics of how they were formed, and their function in the biosphere. 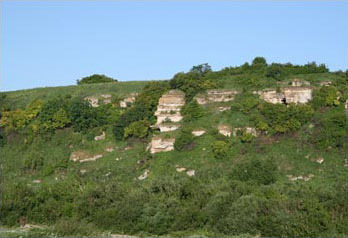 Some of the unique items are of great historical and ecological interest. 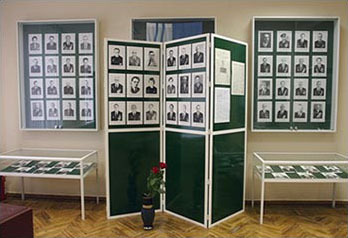 The museum was founded in 1993 by the Department of Plant Biology and Ecology at Voronezh State University. In 2002 the Museum was named after its founder and the leader of all the scientific expeditions – professor K.F. Khmelev, Doctor of Biological Sciences. The Museum's exhibitions include such sections as semantics, ecologo-phytocenotic, and nature conservancy. The Museum staff regularly provide specialised tours for students and pupils. The museum houses an extensive collection of scientifically important zoological material designated as being of outstanding national and international significance. The museum features small specially themed exhibitions throughout the year, as well as lectures and workshops for university students. 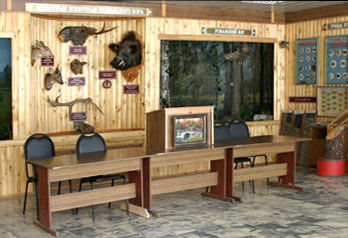 The Museum of the Usmanskii Pinewood forest was founded in 1996 at the «Venevitinovo» Educational and Research Bioсentre of VSU. 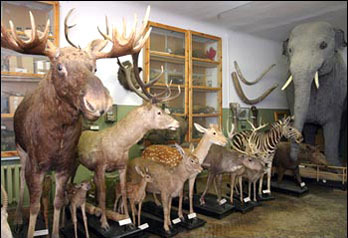 The Museum functions as the basis for practical studies for students from the Faculty of Biology. It also aims at the conservation of natural resources and increasing the environmental awareness of the population. The statistics show that wildlife park trips are popular with the audience. There are various types of excursions provided by the Museum - from one-day trips to specialised series of environmental excursions.